Join us for a spring celebration at the farm! 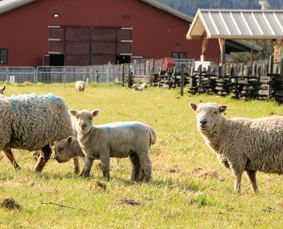 Meet the new kids and lambs in the barn, farm fun for children, and wine tasting for adults. From 11am-2pm our barn will be open for visitors and the farm will be hosting kid-friendly activities including a bounce house, hay pyramid, bean pool and more!